A firm's go-to-market strategy is the mechanism by which they propose to deliver their unique value proposition, a new product or service, to their target market. That value proposition is based on the choices the business has made on where to focus its investments and what markets and solutions they believe will respond positively to increased attention. A go-go-market strategy (GTM strategy) is an action plan that specifies how a company will reach customers and achieve competitive advantage. The purpose of a GTM strategy is to provide a blueprint for delivering a product or service to the end customer, taking into account such factors as pricing and distribution. A GTM strategy is somewhat similar to a business plan, although the latter is broader in scope and considers such factors as funding. A value proposition, which is an essential element of an elevator pitch, should be simple and easy to remember. It should emphasize both the benefits the customer will receive and the price the customer will be charged as compared to the competition. An important goal of a value proposition is to convince the customer that he will be getting many more benefits than he is being asked to pay for. The phrase “value proposition” is credited to Michael Lanning and Edward Michaels, who first used the term in a 1988 staff paper for the consulting firm McKinsey and Co. In the paper, which was entitled “A business is a value delivery system,” the authors define value proposition as a clear, simple statement of the benefits, both tangible and intangible, that the company will provide, along with the approximate price it will charge each customer segment for those benefits. How do you insure that you have things people want? Ask existing users of a product how they would feel if they could no longer use the product. In my experience, achieving product/market fit requires at least 40% of users saying they would be “very disappointed” without your product. Admittedly this threshold is a bit arbitrary, but I defined it after comparing results across nearly 100 startups. Those that struggle for traction are always under 40%, while most that gain strong traction exceed 40%. Of course progressing beyond “early traction” requires that these users represent a large enough target market to build an interesting business. In the world of virtual products Growth hackers are famous for helping promote ideas to rapid growth. Ryan Holiday's book Growth Hacker Marketing describes the methods used by growth hackers. One of his suggestions from his book is an example of growth at Hotmail, a company purchased by Microsoft. Hotmail added “P.S I love you. Get your free e-mail at Hotmail” at the bottom of e-mail sent using their service. This statement turned all users of Hotmail into an advertiser for the product. An idea adopted by Apple for their iPhone mail that includes “Sent from my iPhone” at the bottom. A classic example of a MVP is what was done by Zappos Founder Nick Swinmurn: “My Dad told me, you know I think the one you should focus on is the shoe thing. That’s a real business that makes sense. So I said okay, focused on the shoe thing, went to a couple of stores, took some pictures of the shoes, made a website, put them up and told the shoe store, if I sell anything, I’ll come here and pay full price. They said okay, knock yourself out. So I did that, made a couple of sales.” If you can validate your thesis without paying to create lots of code that approach is like found gold. As another example, the MVP for AngelList mostly took the form of making introductions by email. The Virgin Airlines MVP was just a single plane flying back and forth between two cities. The less money spent on proving the hypothesis, the more money that is left to pivot or execute on the idea. Omni-channel, ‘cross channel being done well’ — a continuous experience across brands, across format and across devices that is completely made to order. which represents a significant shift from the past. Marketers now need to provide a seamless experience, regardless of channel or device. Consumers can now engage with a company in a physical store, on an online website or mobile app, through a catalog, or through social media. They can access products and services by calling a company on the phone, by using an app on their mobile smartphone, or with a tablet, a laptop, or a desktop computer. Each piece of the consumer’s experience should be consistent and complementary. This video is a wonderful example of omni-channel marketing done well. Women’s fashion label Rebecca Minkoff knows its shoppers well: They’re millennials driven by digital experiences, who want to control every phase of their shopping experience. The five "C's" are used to analyze five key areas involved in marketing decisions for a company and includes : Company, Customers, Competitors, Collaborators, and Climate. The 5 C’s are a good guideline to make the right decisions, and construct a well-defined marketing plan and strategy. The five C's can be thought of as constraints. Customers come first as we need to understand their needs. We need to understand our point of differentiation, and our point of advantage over competitors. We must think about our own company and consider what internal resources we have in terms of delivering superior products and services to existing customers. What is our brand strengths and weaknesses. It is critical to develope collaborators as they may serve as partners that we may need to facilitate our access to market. Finally context, an idea that is inclusive of what transpires in the macro environment including, age, population, new innovations in technology, and concerns aboutthe planet we live on. For the marketing executive or team, the four P's serve as parameters that can be changed or manipulated. The four P's product, price, promotion, and place are the tools used in the STP strategy. A STP strategy, introduced earlier in Chapter Four, is defined as segmentation, targeting and positioning. These strategies provide the link between the environment, the five C's and the parameters (the four P's that you implement). Product is quickly becoming more important than the other three parameters. Product should be considered first as it has never been easier to develop a new business. This holds true whether it's a business revolving around content and information or one that includes physical goods and services. Due to this shift, it is imperative the product deliver exceptional value. It should be a product that could appeal to a large market and one that is very easy to explain and describe. Now that billions of people worldwide carry a smartphone in their pocket, the marketer is able to show an interesting product, service or the solution to a problem on the phone. Therefore, your product should be easy to explain and describe. When contemplating execution, we should consider the question: what is wrong with the status quo? Consider how daily activities like buying groceries, ordering taxis, booking hotels, interacting with friends and family can be improved. How can the customer's job to be done be accomplished in a new and exciting way? The pop-up store has become a marketing strategy for retailers looking to extend the brand and introduce new products. There are various benefits to pop-ups such as testing products, locations, or markets, and as a low-cost way to start a business. They are a low cost method to determine product market fit. Pop-up shops are being developed in a variety of shapes and sizes, as well as locations. They can be found in a traditional brick-and-mortar store — as a store-within-a-store — as a standalone kiosk. Howard Schultz, founder of Starbucks, used serendipity to change his frame of reference and grow his coffee business into what we now know as Starbucks. Howard noticed that people in the United States were acquiring their coffee in the supermarket and consuming it at home. Still others would pick up a cup of coffee at a gas station and most of the time it did not taste very good. In short, it was just simply a product, without much peripheral experience or service to go with it. On a trip to Europe, Schultz discovered when folks there drank coffee, they did so with friends, drank higher ends of coffee, and were familiar with macchiatos, lattes and so on. For Europeans, coffee was an experience, more than simply a product with a number of niceties wrapped around it. When Schultz returned to the United States, he envisioned Starbucks would be known as the third place. The first place is home, the workplace is second, and Schultz's idea of Starbucks as the third place. The place to go and experience all of your troubles floating away on a steamy latte. This is an excellent example of someone who saw what was wrong with the status quo and improved it. There are four changes within the sea of contextual change that really affect the start-up and development of new business. One major contextual trend that is difficult to stop but can be leveraged is called democratization in access. Here, technology scale and low cost allows people to access things they may not have been able to before. A prime example of this is Coursera where thousands can enroll in an online class and interact together because of technology. Previously, taking a class mandated being physically present in a specific classroom or school. Today, technology provides this opportunity and Coursera is just one example to consider. The next big trend that is occurring, in part due to the internet, is value chain disruption. Markets where the price that's paid by the end consumer is very high relative to the cost is an example of an opportunity for value chain disruption. Perhaps a monopoly has the market locked up or there's some kind of structural impediment that results in consumers getting a raw deal. Dropbox with tiered pricing starting with free replaced the need for memory sticks or USB memory which had replaced floppy disks. The third trend is called collaborative consumption. 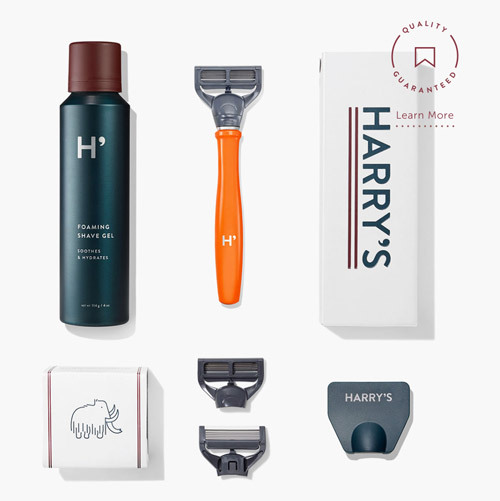 Where there is an oversupply of products and their categories there is an opportunity to share. An example of collaborative consumption is the automobile. If someone owns a car, there is a strong possibility that car is inactive for most of the hours in a day resulting in a real waste of that resource. Wouldn't it be more efficient if there was just one or two cars per apartment building and there was some efficient way of sharing those cars? This is the idea behind a company called Zipcar. 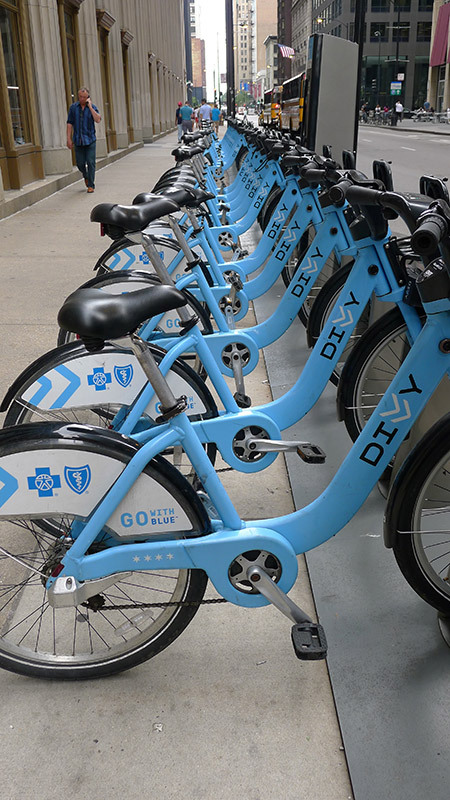 Similarly, bicycle sharing available in Paris, New York City, Chicago and other places is an example of the same kind of efficient use of resources. The third trend is this concept that assets can be shared and consumed collaboratively. The fourth trend, primarily facilitated by the use of technology, especially mobile technology, is the matching of supply and demand. Think about going out at night with a group of friends and trying to locate a taxicab, particularly, in a less populated area of the city. This can be rather challenging. However, in many cities there are drivers available just waiting for passengers. One way to match that supply and demand is to create a ride for the person who needs to get home, and create the payment for the driver, who would stand to benefit from that excess demand. 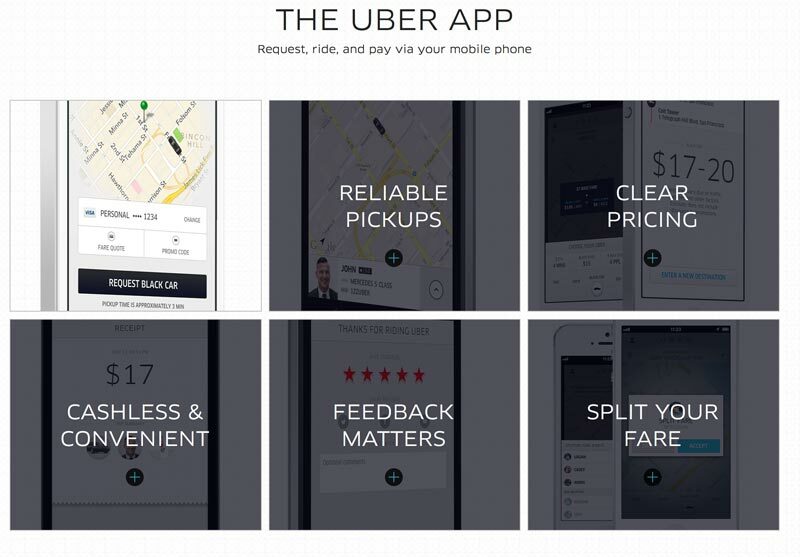 One company that has discovered how to match that supply and demand is Uber. Consider these four key trends in terms of executing new businesses and using innovative thinking. In addition consider if you want to visit DisneyWorld, you'll need to buy a ticket and wait in line. If you want to see the full moon, you can go outside and look up in the sky. Often, we're tempted to create friction, barriers and turnstiles. We try to limit access, require a login, charge a fee... sometimes, that's because we want control, other times we believe we can accomplish more by collecting money. Clearly, people value the moments that they spend at Disney--with hundreds of dollars on the line and just a few hours to spend, there's an urgency and the feeling of an event occurring. On the other hand, far more people look at the moon. Just about everyone, in fact. If your goal is to be present everywhere, significant friction is probably not your finest tactic. There used to be very few resources that were truly scalable at no cost, resources where we didn't need to use money or queues to limit who would use them. In the digital world, that number keeps skyrocketing. It doesn't cost a cent to allow one more person to read this book. If you're going to add friction, if you're going to create urgency and scarcity, understand that it always comes at a cost. By all means, we need to figure out how to make a living from the work we do. But with scalable goods, particularly those that have substitutes, don't add friction unless there are enough benefits to make it worth it to hassle the customers. Concept borrowed from Seth Godin. WhatsApp was purchased by Facebook for 19 Billion dollars. What made WhatsApp so valuable? The opportunity to promote to a huge number of people and the law of large numbers. According to the law, the average of the results obtained from a large number of trials should be close to the expected value, and will tend to become closer as more trials are performed. Thus allowing Facebook to make very accurate predictions! Visit this discussion Medium - invisible-user-experience to learn how great companies design the customer experience to be friction free.